Hey everyone and welcome to Books Between – a podcast for teachers, librarians, parents, and anyone who loves middle grade books! My goal is to help you connect kids between 8-12 with fantastic reads and share inspiring conversations with the authors and educators who make that magic happen. This is episode #58 and today I am giving you a quick first impression of three new books, and sharing a conversation with Cindy Baldwin – author of Where the Watermelons Grow. A quick update on our Middle Grade at Heart Book Club schedule. The September pick is The House That Lou Built. And in October we are reading The Three Rules of Everyday Magic and The Hotel Between by Sean Easley is our November pick. And remember to set yourself a reminder for Monday nights at 9pm EST so you don’t miss the #MGBookChat Twitter chat! We’ve got some really interesting topics coming up like ending gendered labels, the importance of immigrant stories, and how teachers and public librarians can support each other. First up this week is Book Bites – where I’ll give you a quick taste of a few upcoming books. And share first lines and first impressions from reading the first chapter. This week I am previewing The Right Hook of Devin Velma by Jake Burt, The Lighthouse Between the Worlds by Melanie Crowder, and Zora & Me: The Cursed Ground by T.R. Simon. The first novel I want to talk about is The Right Hook of Devin Velma by Jake Burt, author of Greetings from Witness Protection. This novel is about Addison Gerhardt and his best friend, Devin Velma, who is trying to become a social media sensation by pulling a risky stunt at a nationally televised pro basketball game. Devin seems to have some secret reasons for doing something so dangerous, and Addison wants to help his friend but his introversion and anxiety often cause him to freeze up when he’s put on the spot. First impressions: I love this book! And could not stop reading at just that one short chapter. The banter between the two boys is clever and I’m intrigued by the possibility of this book exploring the power and pressures of social media on kids. Twitter is a space where I spend some time but I do have concerns about that. And I’m curious about how Addison’s anxiety plays a part in the plot later on. The Right Hook of Devin Velma is out October 2nd and is definitely one I want to order for my classroom. The second novel I’m featuring today is by Melanie Crowder – author of Three Pennies – a book from a couple years ago that I just loved. This novel – The Lighthouse Between the Worlds is about a young boy named Griffin who lives with his father on the coast of Oregon where they tend to their lighthouse. Every day they follow the same routine – a walk on the beach, placing a new piece of sea glass on his mother’s grave, and learning how to cast prisms in his father’s glassmaking studio. Things are routine. Until…one day a group of mysterious strangers appears and Griffin discovers that the lighthouse contains a portal to other worlds and that his father has far more secrets that he ever realized. First impressions: My first thoughts on reading the first chapter were how… atmospheric and lush the language is. And the fact that the mother’s grave has no headstone but only a suncatcher was both beautiful and also sent tingles up my spine – I’m sensing something…off there. This novel is out on October 23rd – the perfect time to read something with a blend of mystery and fantasy. And book number 3 – Zora & Me: The Cursed Ground by T.R. Simon – sequel to the award-winning Zora & Me – a fictionalized account of the early life of author and anthropologist Zora Neale Hurston. Like the first book, this novel is set in a small Southern town during the very early 20th century of the Jim Crow era, and this book is about Zora and her best friend, Carrie who uncover a tragic mystery centered around an enslaved girl named Lucia. First impressions: I am intrigued – and so fascinated by that concept of the memory of the community and how it impacts all of us in subtle ways we don’t even fully realize. The first chapter launches us into a mystery with the adventurous Zora pulling her friend out into the night into trouble against her friend’s better judgement. It’s so good – and I loved Simon’s beautiful use of metaphor that adds such zing to the language. So be on the lookout for Zora & Me: The Cursed Ground on September 11th. And if you are like me and haven’t yet read the first novel yet, add that one to your list, too! Our special guest this week is Cindy Baldwin – debut author of the acclaimed Where the Watermelons Grow. We discuss honey, the importance of accurate depictions of disability in children’s literature, Pitch Wars, the Anne of Green Gables adaptation on Netflix, and of course her novel! And joining me this week to chat with Cindy is one of the founders of the MG at Heart Book Club, and Cindy’s Pitch Wars partner, Amanda Rawson Hill. CA: For our listeners who have not yet read the novel, can you tell us a bit about it? CA: Would you mind reading a favorite passage? AH: I love how you slip into this southern accent when you read. I think every time you do it, people are surprised. But those who know you aren’t. What’s your history with the setting of this book? CA: I know that your novel is mostly associated with watermelon, but it’s really more about honey! Is watermelon honey a real thing? CA: Cindy – I hope you don’t take this the wrong way, BUT – reading your book made me feel sooooo hot and sweaty! **BONUS SPOILER SECTION: Paula and I discuss the ending of the novel, and if you’d like to hear that conversation, I moved that part of the recording to after the end credits of today’s episode at the 42:27 mark. CA: How is the final version of the novel different from earlier drafts? AH: While the book is about Schizophrenia, you are not Schizophrenic yourself. And yet, your own personal experience with disability helped shape this narrative. How? AH: For those who don’t know, Cindy has Cystic Fibrosis which has her spending a lot of time every day doing breathing treatments and affects her energy levels. On top of that, you have this wonderful spitfire of a child, who Della’s little sister is based on. And if that’s not enough, I know that in the past year you have also suffered from a lot of pain while writing. Yet, you just finished another novel (and it’s beautiful by the way, I’m reading it now.) Talk to us about some of your strategies for getting the writing done even with all these things in your life that make it a bit difficult. CA: While I have both of you here, I have a writer related question to ask. On Twitter, I keep seeing this thing called PitchWars. What IS that? One of the goals of this podcast is to help educators and librarians and parents inspire kids to read more and connect them with amazing books. CA: Did you have a special teacher or librarian who helped foster your reading life as a child? And if so, what did they do that made such a difference? AH: I’d love advice on reading aloud when you have a precocious child, like Kate. CA: So Cindy – I’ve gathered that you are a fan of Anne of Green Gables. What do you think of Anne with an E adaptation on Netflix? CA: What have you been reading lately? Hi everyone and welcome to Books Between – a podcast for teachers, librarians, parents, and anyone who loves middle grade books! My goal is to help you connect kids between 8-12 with fantastic reads and share inspiring conversations with the authors and educators who make that magic happen. I’m your host, Corrina Allen – a mom for the past 11 years, a teacher for the past 17 years, and a fan of flavored seltzer for the past two months. Either I have been oblivious to it or suddenly there is a plethora of sparkling waters and seltzer available everywhere! Including some tasty hard seltzers for those inclined. And during a hot, sticky summer – a frigid, fizzy can of black cherry seltzer poured over a full glass of ice is just about the best thing ever.! This is episode #57 and today I am giving you a quick first impression of three new books, and sharing a conversation with Paula Chase – author of So Done. One super quick announcement – set yourself a reminder for Monday nights at 9pm EST so you never miss the #MGBookChat Twitter chat! We have some really great topics coming up like creating a classroom community through books, ending gendered labels, and how teachers and public librarians can support each other. 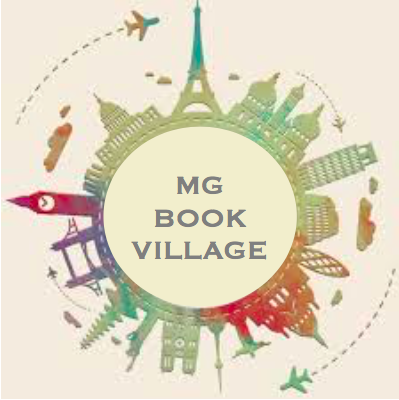 First up is a brand new segment I am calling Book Bites – where I will give you a quick sampling of a few books. And share first lines and first impressions from reading the first chapter. This week I am previewing The Phantom Tower by Keir Graff, The Vanderbeekers and the Hidden Garden by Karina Yan Glaser, and Scream Site by Justina Ireland. The first novel I want to talk about is The Phantom Tower by Keir Graff. You may know him from his other middle grade novel The Matchstick Castle. This book is described as magic, mischief, and mystery colliding in a thrilling adventure. It’s about 12 year old identical twin brothers who move into a mysterious apartment building and discover a portal to a parallel dimension. First impressions: The first thing I noticed when I opened the pages – a map! The first chapter was fast-paced and fun but didn’t make you feel lost. You definitely get enough background info to help orient you to the characters and the tone with lots of touches of humor. The story is written in 1st person and told by one of the twins – Colm. The first chapter reminded me a bit of Peculiar Incident on Shady Street, so if you have kids who like that novel or The Explorers or The Mysterious Benedict Society, The Phantom Tower would be a good book to introduce them to next. Next up is the sequel to a beloved middle grade novel – Karina Yan Glaser’s The Vanderbeekers and the Hidden Garden. In this story – the Vanderbeeker kids band together to do something nice for their upstairs neighbors (Miss Josie & Mr. Jeet) who are going through a tough time. And in classic Vanderbeeker fashion, the five kids make an elaborate plan to convert the abandoned (and possibly haunted) lot next to the church into the gorgeous community garden that Miss Josie has always wanted. First impressions: Well – Oliver doesn’t stay bored for long! And oh how I loved jumping back into the sweet Vanderbeeker banter! The premise of this novel reminds me a bit of the book Seedfolks, and I’m curious how they solve the water problem here…. Along with all the other obstacles I am sure they will encounter! I love the Vanderbeekers, and I know so many of you do as well – and apparently we are not alone. Because Amy Poehler’s production company has optioned the rights to The Vanderbeekers of 141st Street! Ahhhh! And I know, I know – that doesn’t mean it’s going to hit the screen next year, but I’m still so excited and so happy for Karina. If you want to hear her talk about the first Vanderbeekers novel, check out episode 46. And finally, I wanted to check out Scream Site by Justina Ireland. She’s the author of the YA novel Dread Nation among other books. This novel features 14 year-old Sabrina Sebastian who wants to be an investigative reporter so she’s digging into this popular website where people post scary videos hoping to go viral. And she starts to think that maybe some of the videos are real – and then someone very close to her goes missing. First impressions: Number one – the cover is awesome. It’s a gorgeous blue with the shadows of trees looming over a young girl’s silhouette as she faces what looks like an abandoned ferris wheel lit from behind by a full moon. Already – I’m drawn in. And the first chapter leads me to think that there is going to be some interesting and timely discussion about social media and journalism. Scream Site is marketed as YA, but I’ve read in several places that it’s really geared toward more of an upper middle grade audience. Probably wouldn’t include it in my 5th grade classroom, but if you have strong readers in 6th grade and up – this would be a great book for kids who like mysteries and kids who are drawn to internet rumors and hoaxes and those paranormal YouTube videos. This August be on the lookout for The Phantom Tower and Scream Site. Vanderbeekers and the Hidden Garden will be headed our way September 25th. Our special guest today is author Paula Chase. Her debut middle grade novel, So Done, comes out tomorrow. It’s about best friends Tai and Mila who are somewhat awkwardly back together after a summer spent apart from each other. And each is wondering if they can salvage their friendship from the secrets and pressures of middle school and crushes and tryouts and memories that have started to loom in their lives. I loved getting a chance to chat with Paula about her novel, being a dance mom, and the importance of books with authentic stories and authentic voices. Your middle grade debut, So Done, is coming out tomorrow! From the very first pages, I had a huge smile on my face because I was so happy to be reading a book that sounds like some of my students when they are talking to each other. You have this special knack for voice – whatever that “it” is – you’ve got it! What is your secret for for capturing those voices? I think I heard you mention that there was some back and forth with your editor about the vocabulary you used in the novel. Can you talk a little about that? One of things that I loved about So Done were scenes about dance. I’ve heard you mention that your daughter is a dancer. How much did you draw on her experiences to write this story? Nicknames (as opposed to “government names”) are an important part of the story. Are you more like Tai or more like Mila? **BONUS SPOILER SECTION: Paula and I discuss the ending of the novel, and if you’d like to hear that conversation, I moved that part of the recording to after the end credits of today’s episode at the 40:14 mark. Your previous series was young adult. Did you decide from the outset that So Done would be middle grade or did it evolve in that direction? So – what ARE your thoughts about “dessert” books? We’ve all met someone who actively, purposefully listens. Not everyone does this. It’s not innate. It’s a skill honed and practiced and used with deftness. It’s a magician’s trick, because it makes the one being listened to feel valued and cherished. Except it’s not a trick. It’s the real thing. (Bear with me, this will circle around to Middle Grade lit; I promise). Often, Middle Grade lit is mentioned as sitting at the kids table. There are two reasons people find this worth mentioning. First, that it’s terribly easy to equate the silliness of childhood with childhood itself as being silly. Second, that it’s a joke. Humor and the telling of jokes is filled with power dynamics and social constructs and a way for “in-groups” to push people to the outside. This is what happens: at some point, people graduate from the kids table at holiday to the adult table, and when we look back at the kids table (or worse yet, oh horrors–if we have to return and sit at the kids table ourselves), it’s done so with shame or embarrassment or eye-rolling laughter. Do we see how easy it is to turn “childhood” into “childish” into “silly and unimportant”? How easy it is to turn childhood into a joke? The punchline of a joke. Better yet, do we think kids don’t notice? Middle Grade literature is not talking to children, or talking at children, or talking around children. This is what adults tend to do to kids. We talk to them, or at them, or around them. But Middle Grade literature is none of these things; at least, it shouldn’t be. Rather, kidslit is talking with children. And when MG is at its finest, it’s listening. At its heart, Middle Grade lit is authors listening to children. It’s the moment adults bend down, look children in the eye, and listen respectfully to their logic (that dragon’s cave was blue for a reason), their lives, their experiences, the way they value relationships and act within friendships, and the deeply held needs and desires they have. And we do not, not ever, treat childhood itself as a joke. As Middle Grade authors, it’s our job to make the decision to listen, and also to find value in what our audience has to say. With every book we write, I hope our readers know that always, always we’re listening.